Research suggests that diverse groups perform better, and that a culture of meritocracy alone is not enough to generate groups that reflect the diversity of our society. We all have biases, conscious and unconscious, and being aware of and managing these biases can help organizations boost diversity among leadership groups. The evidence is growing – there really is a business case for diversity. By Tim Smedley. A review of recent research articles from several sources finds that a more diverse workforce leads to better performance. How Diversity Drives Innovation: A Compendium of Best Practice. This research provides compelling evidence that diversity unlocks innovation and drives market growth. HBR Summary here. Waiter, is that inclusion in my soup? A new recipe to improve business performance. A report that summarizes research conducted in three large Australian businesses about how diversity and inclusion have the capacity to lift business performance, drive innovation, customer service, collaboration and engagement. Is there a payoff from top-team diversity? This research found that companies ranking in the top quartile of executive-board diversity had ROEs that were 53 percent higher and EBIT margins that were 14 percent higher, on average, than they were for those in the bottom quartile. Gender diversity, a corporate performance driver. McKinsey's first Women Matter study suggests that the companies where women are most strongly represented at board or top-management level are also the companies that perform best. The Paradox of Meritocracy in Organizations. By MIT's Emilio Castilla. This study shows that organizations that view themselves as being meritocratic could be unknowingly discriminating against women. Summary here. The Myth of the Ideal Worker - Does doing all the right things really get women ahead? By Nancy M. Carter & Christine Silva. This research found that doing "all the right things" did help men advanced further and faster in their career, but not women. How The Meritocracy Myth Affects Women In Technology. By Elise Hu. The NPR Radio show Tell Me More devoted a month to talking about women in tech. In this article Elise Hu details how the myth of meritocracy in the tech industry prevails and limits opportunities for diverse groups by denying the role of personal connections, wealth, background, gender, race, or education to an individual's success. Labour market discrimination. Call-backs after review of identical resumes can be up to 70% higher for applicants with non foreign-sounding names. Deadlier than the male. Hurricanes with women's names seem to be taken less seriously by people and, as a consequence, end up killing more than do those with men's names. Professors are prejudiced, too. By Dolly Chugh, Katherine L. Milkman and Modupe Akinola. In this experiment more than 6,500 emails where sent to randomly selected professors from 259 American universities. The identically emails came from prospective PhD candidates who were asking to meet the Professor to talk about their research. The only difference was the name signing the email (male/female and suggesting different ethnic backgrounds). They found that white males were much more likely to receive a resonponse than women and minorities. Blindspot - Hidden biases of good people. By Mahzarin R. Banaaji and Anthony G. Greenwald. "Blindspot" questions the extent to which our perceptions of social groups—without our awareness or conscious control—shape our likes and dislikes and our judgments about people’s character, abilities, and potential. The authors reveal hidden biases based on their experience with the Implicit Association Test, a method that has revolutionized the way scientists learn about the human mind and that gives us a glimpse into what lies within the metaphoric blindspot. Interview about the book here. A Study on the Status of Women Faculty In Science at MIT. By Alison Brooks, Laura Huang, Sarah Kearney and Fiona Murray. With this report, MIT put the problem of gender inequity in academia at the center of the national debate. It showed the role that unconscious biases played in perpetuating the gender gap, and, by admitting to having a problem, MIT was able to develop successful strategies to reduce the gap and became a national model for addressing gender inequity. Investors prefer entrepreneurial ventures pitched by attractive men. By AW Brooks, L Huang, SW Kearny, and Sloan Professor FE Murray. In this study researchers showed video pitches for new companies that used slides, an identical script, and a voice-over from either a male or female “founder” to VC investors. It turned out that companies pitched by men were about 40 percent more likely to receive funding than those led by women. Listen to NPR's piece about the study here and Professor Murray's follow up article here. A blind pursuit of racial colorblindness. By MIT's Evan Apfelbaum. 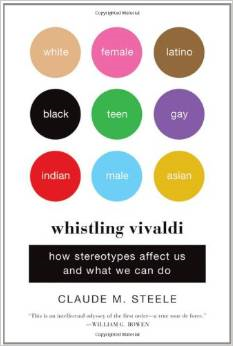 "While colorblindness may reflect a well-intentioned effort to avoid prejudice, it does not work in the way that people tend to think it does". Silent Technical Privilege. "As a novice computer programmer, I always got the benefit of the doubt—because I looked the part [being an Asian male student]." By Philip Guo, MIT graduate. The Rooney Rule that requires NFL teams to interview minority candidates for head coaching boosted the percentage of African American coaches from 6% to 22% in 3 years. Blind auditions adopted by American symphony orchestras increased the probability that a woman would advance from preliminary rounds by 50%. By Cecilia Rouse and Claudia Goldin. PwC publicly disclosed the company's gender pay gap stating that transparency is one of the most powerful ways to address the issue of pay equity. Micro-inequities and Micro-affirmations. By MIT's Mary Rowe. Micro-inequities describe apparently small events/behaviors which occur wherever people are perceived to be 'different' and add up until they impact whole groups in the workforce. Micro-affirmations are apparently small acknowledgements of a person's value and accomplishments that form the basis of successful mentoring and colleagueship. Breaking the Mold. By MIT's Lotte Bailyn. Re-thinking how companies could modify their structure and culture to integrate employees' personal obligations and interests, and in the process become more effective as organizations.